Our Program is designed to give the student an introduction to the theory and concept of proper skin care procedures. 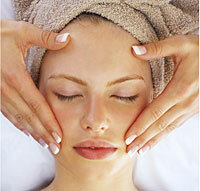 To prepare the student with the basic skills and knowledge to perform a professional facial. The student will be trained to successfully compete in the professional marketplace of the beauty industry. The Facial Specialist program will explain the structure and function of skin, describe skin and gland diseases and stress the importance of sanitation and disinfection procedures. Students will learn a variety of facial massage techniques and get an understanding of professional skin care products. A State Board Test is not required for licensure. Financing is available.